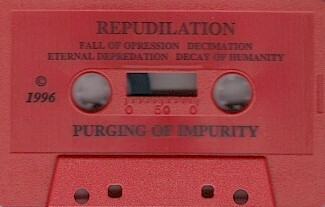 Repudilation is a slamming brutal death metal band from NY, USA. Formed out of the band Mangled but changed their name and released one demo in 1996. Printed three panel glossy covers. Printed red tapes.